1. The sale of its defense business to Group entity Tata Advanced Systems Limited (TASL). This will not include the pure civilian vehicles which will continue to be with TML. TML will receive an upfront consideration of Rs 100 Crs, adjusted for capex incurred and changes in working capital in the intervening period until closure date, and a deferred consideration of 3% of the revenue generated from identified Specialized Defence Projects for upto 15 years from FY20 subject to a maximum of Rs 1750 Crs. 2. The sale of its shareholding in its wholly owned subsidiary, TAL Manufacturing Solutions Ltd (TAL) to TASL at an enterprise value of Rs 625 crores. 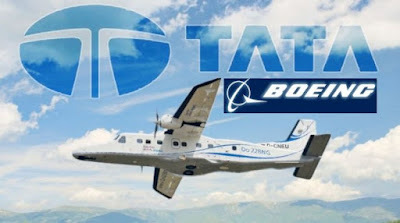 As a condition precedent, Tata Motors will acquire the non-aerospace business from TAL at a value of Rs.10 lakhs.